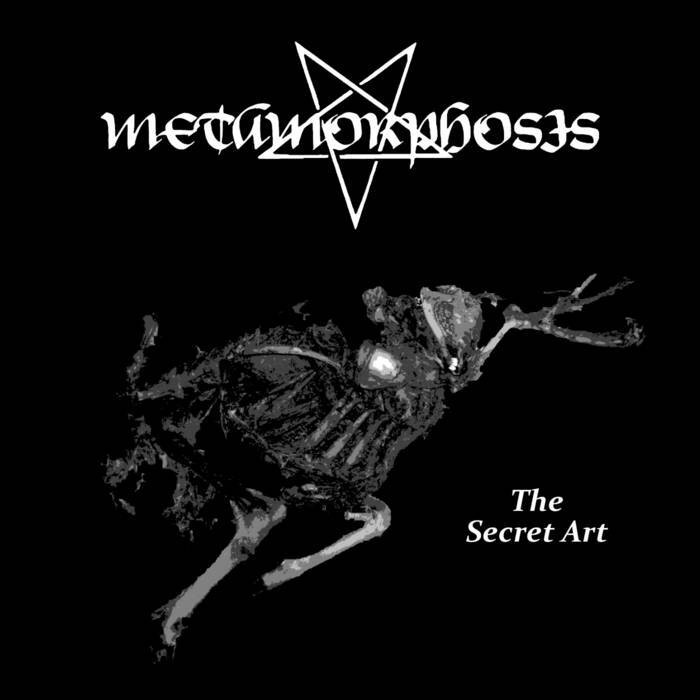 This is the sixth album from German one man black metal band Metamorphosis. Here we have 40 minutes of music that takes traditional satanic black metal and blends it with a decent helping of death metal muscle, doom metal melodic allure, thrash metal energy, and symphonic black metal grandeur. This release reeks of the old-school, but not purely old-school black metal. You can feel the shades of primitive death, thrash, and doom metal here too, adding their influence to the grim rhythms, spiky riffs, and blackened melodies respectively. Early Paradise Lost and Amorphis, mixed with the aforementioned other influences, is a good place to start when thinking of Metamorphosis. The keyboard performance, although not ubiquitous, adds to this feeling too, creating morbid atmospheres that sound ancient and dark, without sounding tired or stale. The vocals mimic this musical diversity, with the singer demonstrating a broad range of styles across the tracks. He clearly knows what he’s doing with his voice. With a decent amount of variety in mood, delivery, and pacing, the songs on this release work their black magic quite effectively. Each song has its own identity, and has something of its own to offer the listener. This is always something I enjoy in an album, especially one of this ilk. The Secret Art is a nostalgic listen in some ways, but one that’s still eminently enjoyable for what it has to offer in the present day too. This entry was posted in Black metal and tagged Amorphis, Black metal, Death Metal, Doom Metal, Metal, Metamorphosis, Paradise Lost, Symphonic Black Metal, Thrash metal. Bookmark the permalink.